Here is the story of the European Union by one of its leading thinkers. Andrew Duff describes how the EU was born at a time when federalism was seen as the only way to lasting peace, but how continuing tension between federalists and nationalists has left the Union unable to fulfil its promise. The author argues that the rise of impressive institutions such as the European Parliament, Central Bank and Court of Justice has not been matched by the emergence of a capable democratic executive: so the problem of weak governance at the European level must be rectified if the risk of illegitimacy is not to grow. In his career as a noted politician and commentator, Andrew Duff has worked towards the goal of federal union. He regrets Brexit but is not surprised by it, and argues that if the remaining EU makes a success of the federal experiment, the British may in due time be back. 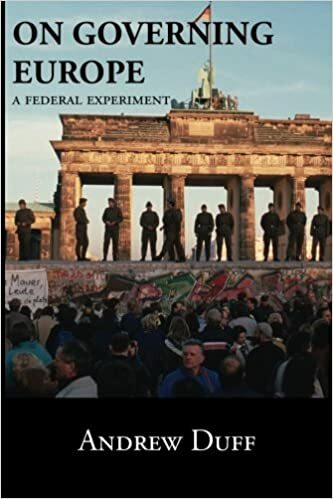 On Governing Europe: A Federal Experiment by Andrew Duff is available for sale on line.